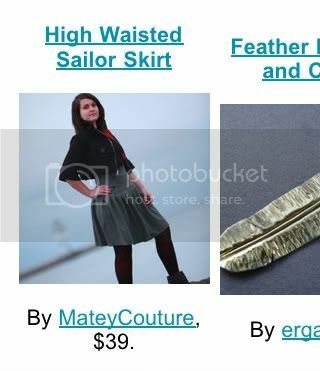 Just a brief posting to let you know some exciting news: My Sailor Skirt was featured in an Etsy Finds article/newsletter on Friday! My dear friend, Tany, was kind enough to grab these screenshots of it, and you can also check out the actual article right here. I've never really been featured on Etsy ever before, except perhaps a gift guide last Christmas, so it was a completely new, thrilling experience! 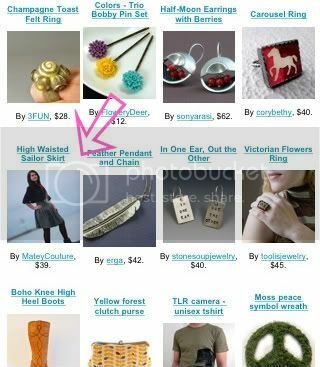 My traffic went way up, and to be featured alongside such awesome, beautiful items was terribly flattering. So, good weekend? I think so. That is so epic! Congrats! And I'm exited for the pictures. Your stuff is so awesome! 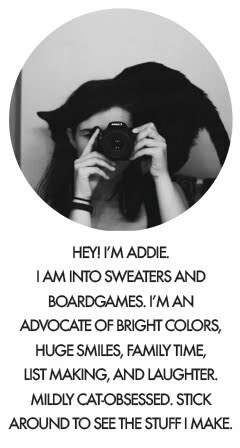 I'm so happy for you Addie- and I'm sure this is the first of many times your work will be featured! You really are a talent. dorkvader - Aw, thank you! You're very sweet.